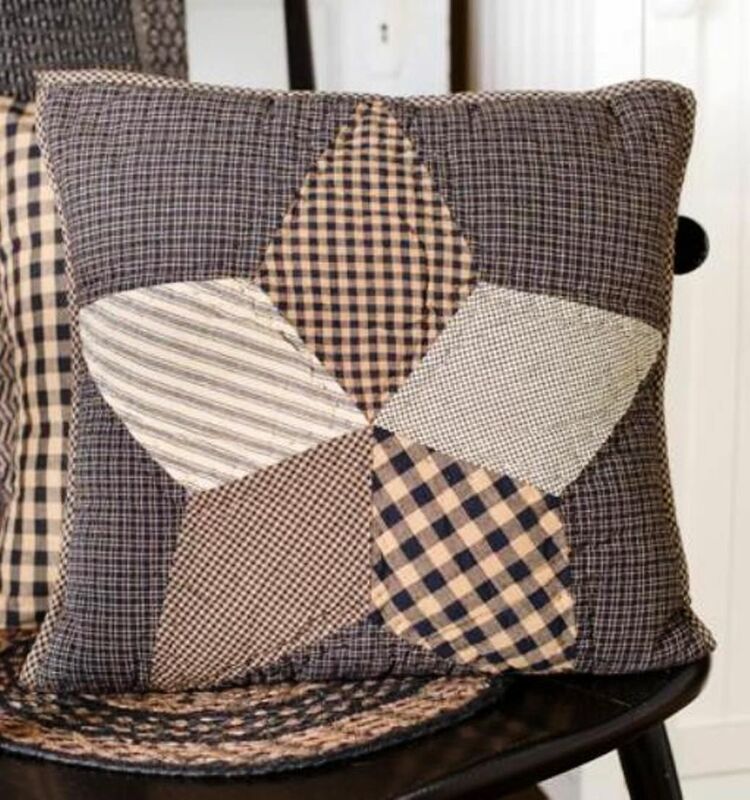 A centered five-poin star surrounded by black and cream patchwork. 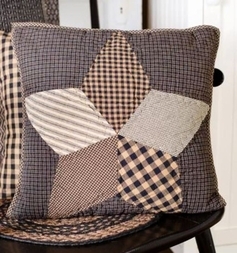 Reverse side features a button closure with a 3" overlap to conceal pillow insert. Fill pillow insert included. Measures 16 x 16 in.